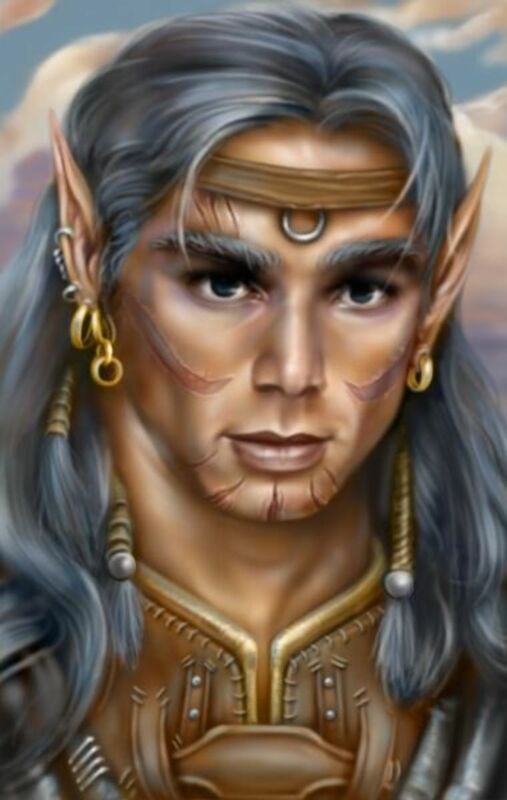 Every D&D player has probably, at some point, played a fighter. Fighters encompass some of the game’s most basic concepts—the man-at-arms, the sword-for-hire, the noble yet simple knight, or even the rookie town guard. For most groups, the fighter forms a cornerstone of the party—indeed, for the earliest editions of the game, the fighter was a quarter of the available classes. Many still consider the archetypal party to be one of a fighter, a cleric, a rogue, and a wizard. 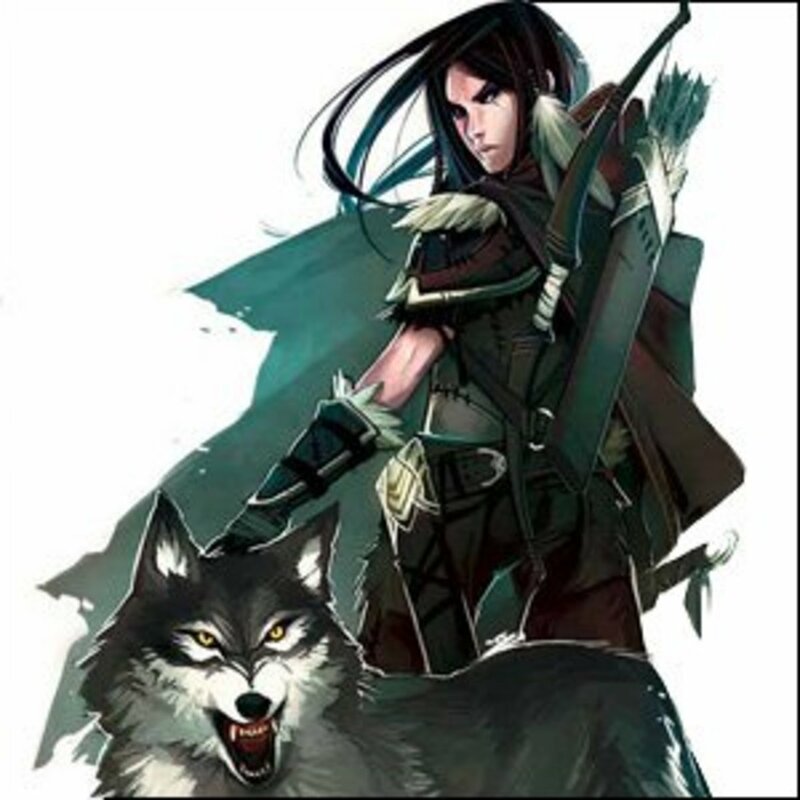 In Pathfinder, fighters do not, comparatively speaking, have as many tricks as a well-played wizard or other spellcasters, but they are the measure by which every warrior character, whether a barbarian, a ranger, or some other class, evaluates himself. In terms of raw weapon damage, fighters are matched only by barbarians. 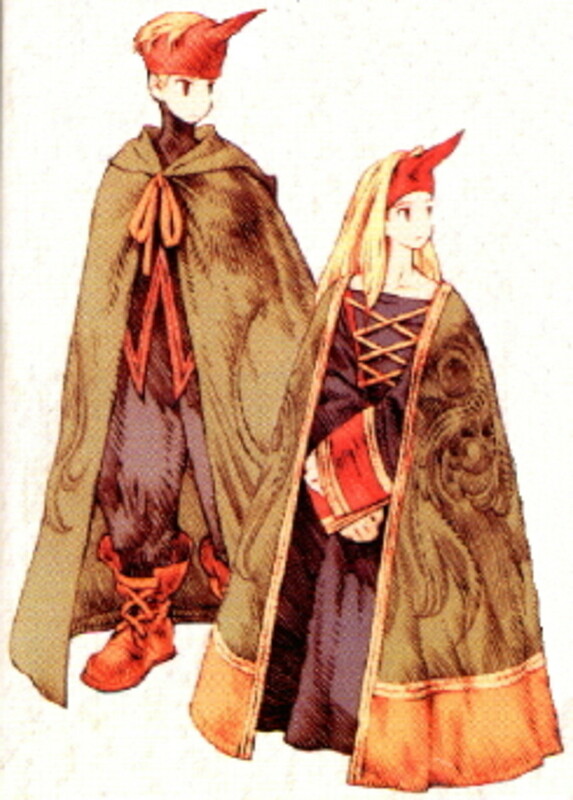 They also boast high Armor Class values since they can wear heavy armor and keep their Dexterity bonus to AC. Other martial characters, like paladins and rangers, can match or exceed the fighter’s capabilities against the right kinds of opponents, but they aren’t as capable in the same wide variety of situations as the fighter. 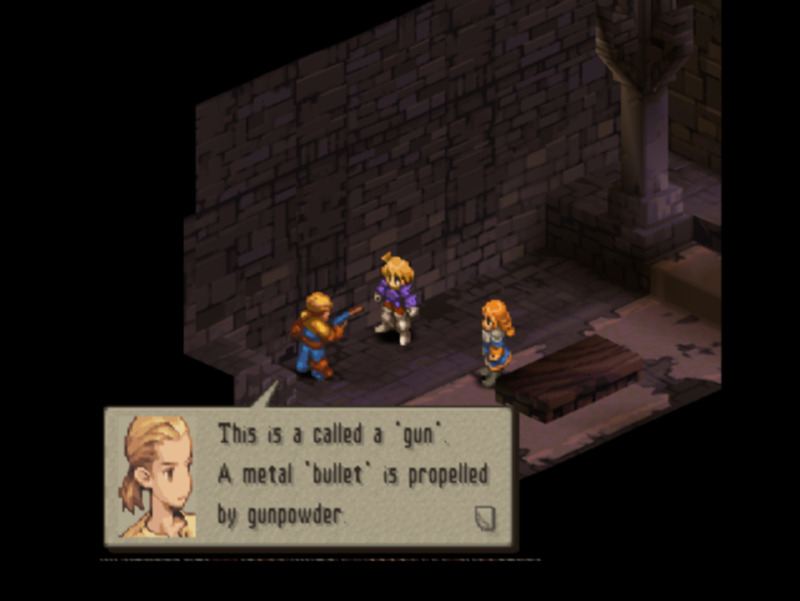 As the game’s premier users of weaponry, fighters can look very different from one another, all because of the weapons they use and the feats they choose. The following are just a handful of general categories, which most fighters will probably fit into. Archery: These fighters, generally focusing on bows, dish out some of the highest raw damage in "Pathfinder." Since they rarely have to move, they can launch a full attack nearly every round. You can build similar fighters with crossbows (or in some campaigns, firearms), though archery requires far fewer feats. 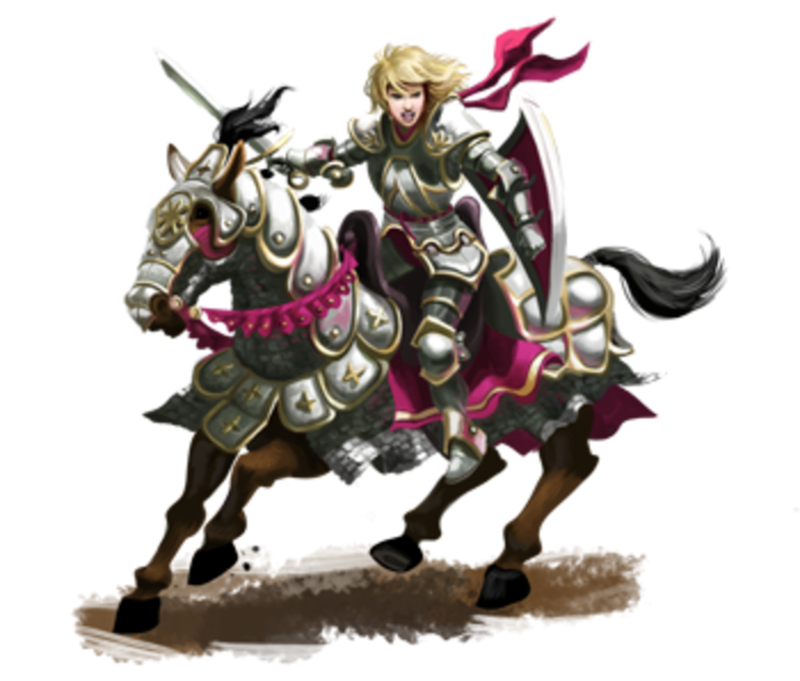 Mounted Combat: These fighters will tend to favor lances and focus on charging in combat, dealing triple damage with their lances via Spirited Charge. They’re far more mobile than other fighters and still do solid damage. If they can manage to wrangle a rare flying mount of some kind, they can take their tactics to the skies. 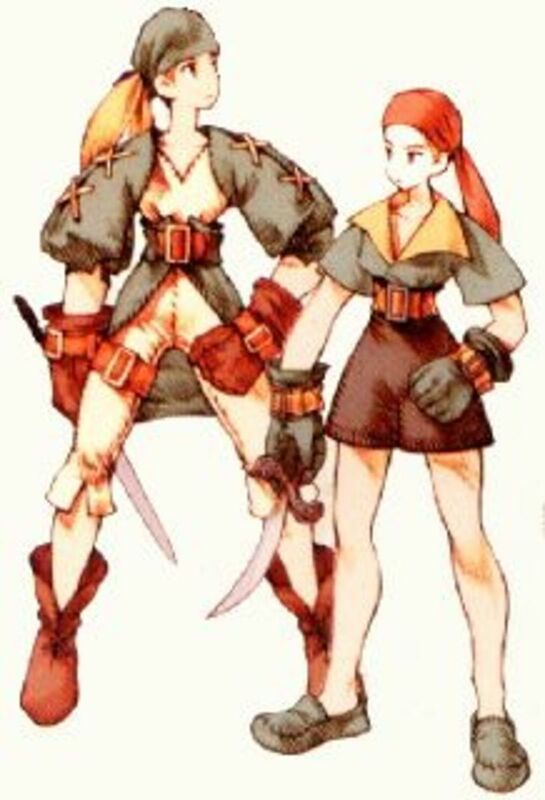 One-Handed Fighting: These fighters use a single weapon, but eschew an off-hand weapon or a shield. They tend to be agile warriors, with skills like Weapon Finesse, and they’ll often take levels in the duelist prestige class or have other abilities that give them special benefits to compensate for their weaker style. Sword and Board: Though they don’t always use swords, these fighters favor a one-handed weapon and a shield. They don’t have the same damage output as other fighters but they have a more rounded set of defenses. Some sword and board fighters may focus on shield bashing and take the Two-Weapon Fighting feats, giving them greater damage potential. Two-Handed Fighting: These fighters wield two-handed weapons, like greatswords or great axes, and they tend to do large amounts of damage per hit. For damage-dealing, two-handed fighters deliver consistent damage without much feat investment. Two-Weapon Fighting: These fighters focus on using a weapon in each hand, trading greater damage per hit for a larger number of attacks. Though they depend more on full attacks to keep their damage flowing, their many bonuses (from Weapon Specialization and weapon training) can really add up to a lot over time. 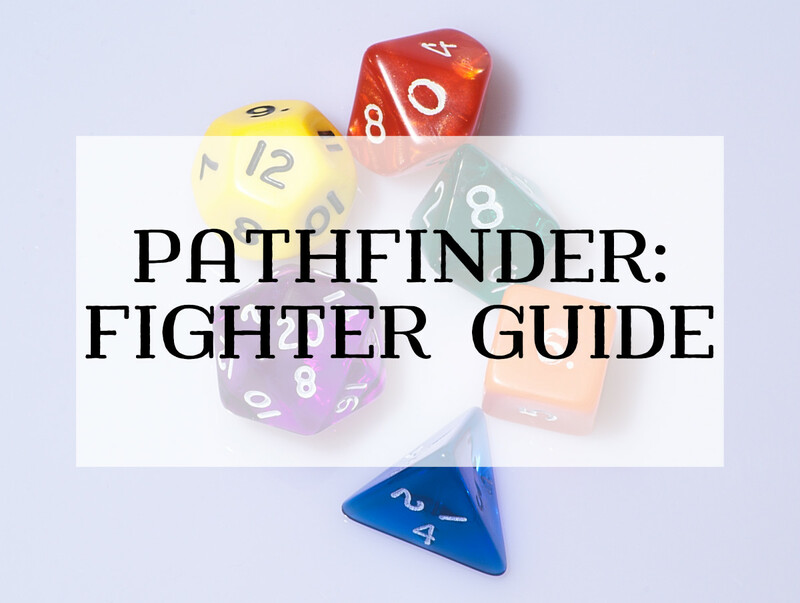 The rest of this guide will break down each of these categories further, examining key ability scores for each type of fighter, the feats they’ll want to take, and some suggestions for further choices. 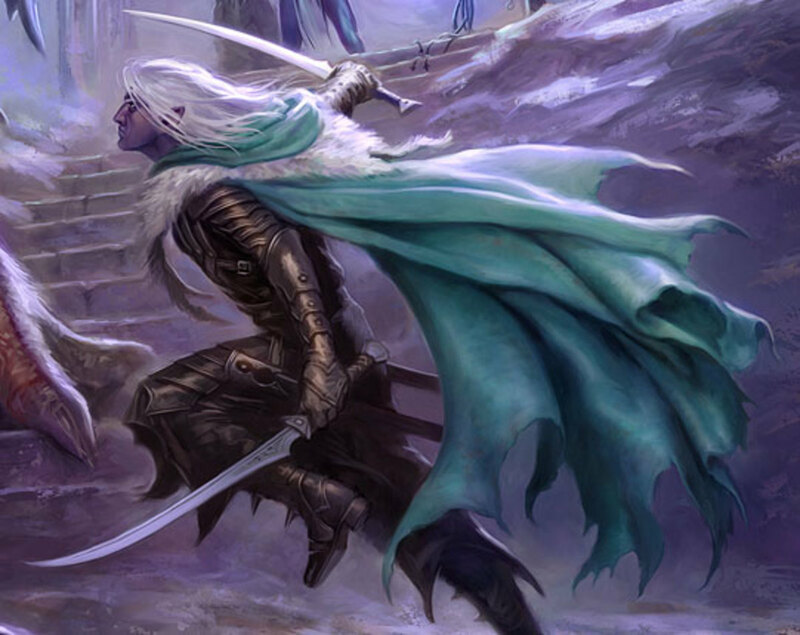 This article will also take a look at some of the archetypes that pair well with them. Each category will have a sample build (up to level 5) that will give you some idea of what you’ll be looking at for such a fighter. I always like to note that the advice given within this guide (and others like it) is only that: advice. Clever feat combinations and character concepts can make this advice more or less helpful. But take it as a starting point. Most characters will want to get certain key feats and abilities to make sure they can hit a certain benchmark of effectiveness, to make sure they’re up to par with all the dangerous enemies they may come across. Feel free to tweak, change, or ignore entirely any suggestions I give below, but my hope is that you’ll do so knowingly, with a full understanding of what you’re giving up and hoe other choices make up for that. With that having been said, let’s get to the good part! Dexterity is your prime ability and factors into your attack bonus for your ranged attacks. Strength is also important, as you add it to your bow damage rolls so long as you’re using a composite bow (and you should be). Constitution is slightly less important for you than other fighters, though you don’t want to make it a dump stat. Wisdom is your fourth stat—you don’t need this to be very high, but whatever you can get is helpful, since Will saves are a weakness for fighters. Intelligence is nice for extra skill points, but you don’t particularly need it. Charisma is, as usual, a dump stat for you. Point Blank Shot, Precise Shot, Deadly Aim, Rapid Shot, Manyshot. These feats are the core of any archery build, for a fighter or not. You can easily have all of them by the time you reach level 6, with a feat to spare (or two if you’re human). Point Blank Shot isn’t strictly necessary, but it’s a prerequisite for most of the others, so you need it. Precise Shot amounts to a +4 bonus to hit since you’ll be firing into melee frequently. With penalties from Deadly Aim and Rapid Shot, you don’t want any more penalties than necessary. Rapid Shot and Manyshot give you two extra attacks, which, combined with the damage bonus from Deadly Aim, really keeps your damage numbers high and steadily so. Improved Precise Shot, Point Blank Master, Snapshot, Improved Snap Shot, Weapon Focus/Specialization, Greater Weapon Focus/Specialization, Improved Critical. All of these feats will make you better at what you do in some way or another. Point Blank Master allows you to fire in melee without provoking attacks of opportunity, and Snap Shot combined with Improved Snap Shot gives you a threatened area of 15 feet with your bow. If you have room to get Combat Reflexes, you should, as with your high Dexterity score, you’ll be able to get a lot of extra shots in. The archer archetype (Advanced Player’s Guide 104) has a lot of benefits for the archery-focused fighter, as you might expect. At level 9, you no longer provoke attacks of opportunity when making attacks with a bow (which saves you the Point Blank Master feat). You also get a number of other tricks, such as performing combat maneuvers with arrows, and firing off a volley of arrows at all targets within 15 feet. The archetype has a few other bonuses, but these are the main ones. Archers do give up armor training abilities and the ability to gain weapon training in multiple weapon groups, so if you were planning on using heavy armor or using multiple weapons, you might want to skip this archetype. The weapon master archetype (Advanced Player’s Guide 109) does provide some benefits to an extremely dedicated archer, but overall, the benefits from the archer archetype will provide more bang for your buck in the long run. Here’s a sample build for a standard fighter with an archery focus. I don’t use any archetypes here, as the standard array of fighter class features still complements the fighter archer well, but the archer and weapon master archetypes both work. With a build like this, I’d be looking at picking up Manyshot at 6th level and going for the Snap Shot line after that and taking Combat Reflexes when possible. You could also use some of your later feats on things like Iron Will, to round out your defenses. Given the damage an archer fighter can inflict, such investments are rarely a bad idea, since you could do a lot of damage to your party if you were ever mind controlled. If you go the Snap Shot route, you’d want something like the following for your feats through level 10. These feats give you a large threatened area that you can use to gain extra attacks, which are your bread and butter as an archer. As for most fighters, Strength is your primary ability score. It adds to your ability to hit and to your damage rolls. Constitution is your next most important stat, as it is for most melee characters. You’ll want a moderate Dexterity (to assist in the Ride checks you’ll make on your mount), but you don’t have to invest much in it as long as you maximize your ranks. Wisdom is always useful for its bonus to Will saves, and Intelligence keeps your skill points up, but neither is especially necessary for you. You probably don’t want your Charisma to be too low because you will need to use Handle Animal at least some of the time. Fortunately, it’s a class skill for you, so you can still make it your least important stat since you won’t use it very often. Mounted Combat, Ride-By-Attack, Spirited Charge, Power Attack. These four provide the main attraction to your charge-attack specialty, which will have you doing triple damage with a lance from the back of your mount. With these four, you’ll have yourself a solid foundation, whether you choose to take further feats focusing on your mount or not. Mounted Archery, Trample, Unseat, Mounted Shield, Trick Riding, Mounted Skirmisher, Furious Focus, Weapon Focus/Specialization, Greater Weapon Focus/Specialization, Improved Critical. Most of these feats give you additional capabilities on your mount. Trick Riding is a prerequisite to Mounted Skirmisher, which most mounted combatants will probably want eventually (it allows you to make a full attack while riding as long as your mount doesn’t move any faster than normal). Such a feat gives you enhanced mobility, so you’ll probably want it. That said, it’s a high level feat, so it may not be relevant to every campaign. Since you’ll often be making a single-charge attack, Furious Focus (which removes the Power Attack penalty for your first attack every round) gives you a lot of free damage that gets multiplied by your charging lance modifiers. Weapon Focus and the related feats are good for just about any fighter. The roughrider archetype (Advanced Player’s Guide 106) trades the fighter’s generalist abilities (like bravery and additional weaponry training) for mount-specific abilities. Chief among these are leap from the saddle, which lets the fighter jump from his mount and make a full attack after a single move, and relentless steed, which lets the fighter reroll a saving throw for his mount once per day (gaining more uses per day as he gains levels). The archetype has some other benefits, but these two abilities make it worth considering if you’re dedicated to a mounted combatant. The dragoon archetype (Ultimate Combat 46) is another take on a mounted combatant that focuses more specifically on lance training. This archetype has a number of similarities to cavaliers (namely in gaining a banner ability). If you’re interested in a more well-rounded mounted fighter, the dragoon may be a good choice. I’ve written about it in more detail here. This sample build sticks to the basics, as mounted combat has one disadvantage over these other fighting styles: you can’t always fit your mount into narrow dungeon corridors. So, it can pay not to specialize too much, leaving you capable on foot as well as on your mount. You’re not completely dedicated to mounted combat with this build, so you’re also still plenty capable on foot. Because of your high damage potential, you run the risk of doing heavy damage to your party members if you’re ever confused or dominated, so Iron Will is a nice way to buffer your defenses in that area. Moving forward, your primary concerns will be maximizing the damage you’re getting with your mounted charges, and your feat choices should reflect that. There’s more room for customization here than in some other builds, as you can get your key feats for mounted combat out of the way pretty early. I’ve opted here to increase versatility, but it might not be a bad idea to take on a secondary style to use if you’re ever caught without your mount (such as using Combat Reflexes with your lance’s reach to gain extra attacks). Because of your strongest feat options (particularly Dervish Dance), Dexterity will be crucial to your attack and damage rolls, as well as all the other things Dexterity gives you. It’s your main score. Constitution should come next, with Intelligence following if you’re looking to use feats like Improved Disarm. Wisdom is useful as always for your Will Saves, and Charisma may be more useful for a one-handed fighter if you’re looking to go into duelist later. Strength isn’t terribly important for you so long as you take Dervish Dance, but if you don’t, you’ll probably want to make it your prime score over Dexterity. Try to get a 13 Str if you can, though, so you can at least take Power Attack. Weapon Finesse, Dervish Dance (Inner Sea World Guide), Power Attack. Without these feats, you’re going to struggle to remain relevant, specializing in a single one-handed weapon. Your Armor Class is lower than a sword and board fighter, and your damage output is lower than just about every other fighter's, as well. Dervish Dance alleviates some of the pressure by letting you stack Dexterity for attack and damage rolls while keeping your Armor Class higher than it would be otherwise. Dervish Dance has a special provision allowing the scimitar to qualify for the abilities of the duelist prestige class and similar abilities that rely on one-handed piercing weapons, as well. Though you have to have some Strength to get Power Attack, it’s crucial to keep your damage at a respectable level. Combat Expertise, Improved Disarm, Greater Disarm, Dodge, Mobility, Weapon Focus/Specialization, Greater Weapon Focus/Specialization, Improved Critical. Combat Expertise and Disarm complement the general style of an agile warrior, so take them if you can. Dodge and Mobility are prerequisites for the duelist prestige class, which you'll want if that's your style. Moreso than other fighters, the Weapon Focus line and Improved Critical are important to you because of your lower baseline damage output, so these are almost “key feats,” but not quite. The free-hand fighter (Advanced Player’s Guide 105) has some nice bonuses (such as scaling bonuses to disarm attempts and a dodge bonus to AC), but gains fewer weapon training bonuses overall, thus reducing your already lower damage potential. I don’t generally recommend this archetype as a result. However, if you’re going into the duelist prestige class, you won’t get additional weapon training anyway until very high levels, so you might consider it for the extra AC and bonus on disarm maneuvers. Though it isn’t an archetype, the duelist prestige class can provide some welcome additional class skills and skill points, as well as some unique parrying abilities. You’ll lag slightly in attack rolls since you lose a few weapon training bonuses, but given your main focus on Dexterity, you can come out pretty well. This sample build assumes you’re going into the duelist prestige class later, but attempts to keep your damage at a respectable level until you get there. Make use of your Dodge and Mobility feats to soak up attacks of opportunity for your team mates if you can. This feat gives you a somewhat unique function that compensates for your lower damage. Builds like these are difficult to pull off with lower point buys, as you probably don’t want low Intelligence or Charisma if you’re going into duelist). So, if you have more points to play with or you get a good set of rolled scores, go for higher scores here (or not, as suits you). As with most fighters, Strength is your go-to score. Though you’re more focused on defense with your shield, you’ll still want to deal meaningful damage, or else you’ll find yourself ignored by intelligent opponents, making your extra defense meaningless. Constitution is likewise as important as usual. You’ll want a moderate Dexterity score if you can manage it (since your armor training lets you take advantage of it). Wisdom is nice while Intelligence and Charisma are minor concerns for you, as you might expect. Power Attack is your only true key feat, as what you do with your shield depends a lot on whether you focus on offense or defense. Antagonize is key for you as well, as it makes enemies more likely to attack you than your allies. Though the feat is somewhat controversial, if your GM allows you to take it, you should do so. It lets you get more mileage out of your added AC. Improved Shield Bash, Two-Weapon Fighting, Shield Slam, Shield Master, Bashing Finish, Weapon Focus/Specialization, Greater Weapon Focus/Specialization, Improved Critical. Shield bashing requires greater investment in your Dexterity score, but it evens out your damage potential somewhat and so can be worth it. If you’re lucky enough to have a very high Dexterity, you can also take Improved Two-Weapon Fighting and Greater Two-Weapon Fighting to give you more shield bashes in each round. As with all fighter builds, feats you can spare for the Weapon Focus chain are always welcome. Shield Focus, Greater Shield Focus, Missile Shield, Ray Shield, Shield Specialization, Greater Shield Specialization. Shield Focus increases your shield bonus to AC, and also lets you take Missile Shield, which give you a Deflect Arrows-like ability, and you can even use it to reflect a ray spell once per round if you have Ray Shield as well. Shield Specialization adds your shield’s AC bonus to your Combat Maneuver Defense, and Greater Shield Specialization lets you negate a critical once per day, which can be a real life saver. There are a handful of other feats that let you use your shield to help out your allies. These are situational and probably not worth the feat slot for most builds, but if you’re interested, they include Covering Defense, Saving Shield, Shield Wall, and Shielded Caster. The last two are teamwork feats, so you’ll want to coordinate with your group if you’re planning to take them. 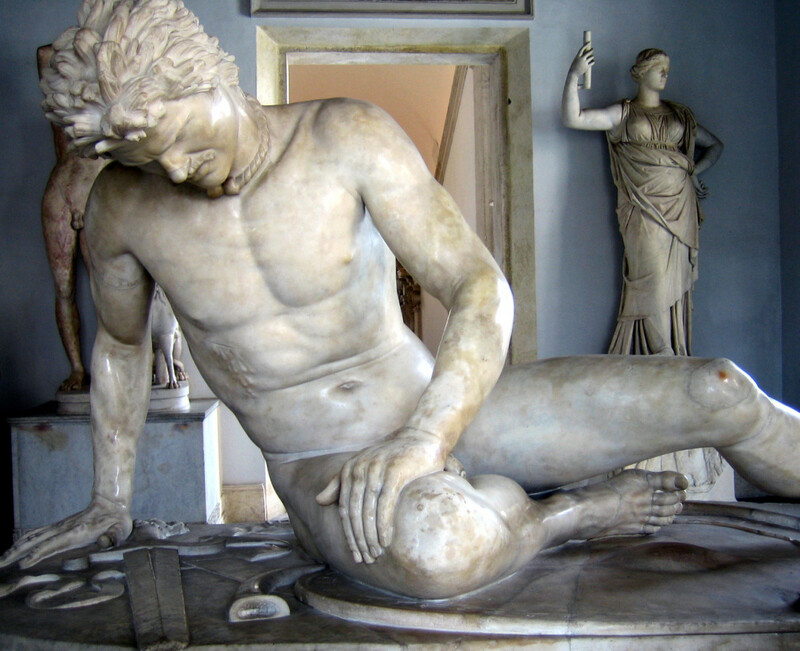 The phalanx soldier archetype (Advanced Players’ Guide 105) is really only useful if you can guarantee that you’ll be standing next to your allies all of the time, since most of its abilities are centered around remaining relatively stationary and providing bonuses to adjacent allies. Given that standing in a group is rarely a sound strategy, this archetype isn’t generally a good choice. The shielded fighter archetype (Advanced Player’s Guide 108) gives up most of your weapon training abilities for special shield-related abilities. If you’re highly focused on defense, you might consider this archetype, but if you take a more balanced approach, you’ll likely want to skip it. One archetype that you might not examine that’s worth a look is the two-weapon warrior (Advanced Player’s Guide 109). While the bonuses are all intended for standard two-weapon fighting, if you’re maximizing your shield bashing, all of the bonuses apply to you as well if you’re using your shield as an off-hand weapon. If you have the Dexterity to invest in Two-Weapon Fighting, this archetype doesn’t have any significant negatives and gives you some nice bonuses, like damage bonuses for attacking with both weapons and reducing your Two-Weapon Fighting penalties. This archetype is definitely worth a look, even if it’s somewhat counter-intuitive at first glance. Like the shielded fighter, the armor master (Ultimate Combat 44) gives up some offense for more defensive capability (most notably, damage reduction). Again, if you’re especially armed for defense, this archetype is worth a look. Last, but not least is the tower shield specialist (Ultimate Combat 48), which, like the other shield-focused archetypes, reduces your offensive capability in exchange for making you better at using a tower shield. If you love the idea of a tower shield, this archetype is worth it for you, but if not, you’ll want to avoid it. Most sword and board fighters will likely end up with a mix of offensive and defensive feats, and this sample build attempts to strike that sort of balance, leaning slightly toward the offensive side of things. As you gain more feats, aim for the mix of offense and defense that suits you. I recommend picking up Shield Slam, Shield Master, and Ray Shield (which requires Disruptive and Spellbreaker) for most builds. Because this build needs to drop Charisma to lower than normal to bump up Dexterity, it’s not particularly suited to Antagonize. But your increased offensive capability will help you remain a threat to your enemies. Through level 10, consider something like this (though not every build will have the Dexterity for later Two-Weapon Fighting feats). Two-handed fighter builds are the simplest of the lot. You need Strength and Constitution to excel. Keep those two as high as you can, with Strength as your main priority. Dexterity is always welcome, but you don’t need anything that impressive. Wisdom is nice when you can get it, and you don’t need to worry much about Intelligence or Charisma, as usual. To have a successful two-handed fighter, Power Attack is all you need. Everything beyond that is icing on the cake. This one feat propels you to the higher ranks of damage-dealing stardom. You won’t outdo an archer in the long run, but you’ve only spent one feat to remain competitive, and he’s spent several. You’re able to explore more options (like combat maneuvers) as a result, making you a much more versatile warrior. Cleave, Great Cleave, Furious Focus, Step Up, Following Step, Step Up and Strike, Lunge, Weapon Focus/Specialization, Greater Weapon Focus/Specialization, Improved Critical. 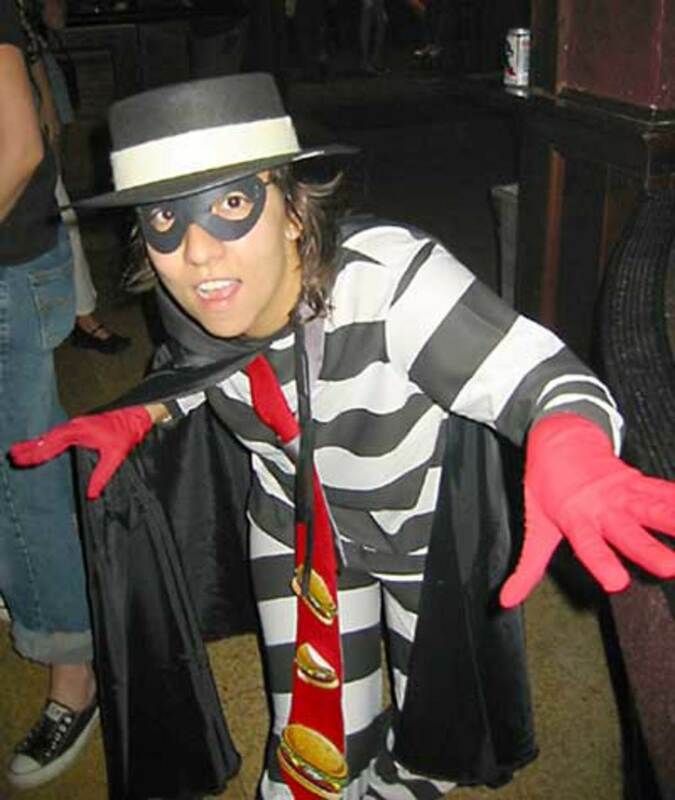 Because you require so few feats to truly be effective, you’re free to diversify and become a more versatile combatant. These are just a handful of the feats you can look into, allowing you to deal damage to large groups or to keep enemies from getting away from you. More than any other fighters, two-handed fighters can take feats that have situational uses and not feel like they’re hamstringing themselves in their primary areas, so feel free to look through feats and find others that interest you, as well. Combat Reflexes, Combat Expertise, Improved/Greater Drag/Reposition/Trip, Stand Still. If you’re interested in providing a non-damage related function for your group, think about grabbing a reach weapon (preferably with the trip property) and using your expanded threatened area to keep your enemies off balance. Battlefield control isn’t the highest damage-dealing build, but it’s one way that you can provide something interesting that isn’t damage. However, as more enemies gain the ability to fly or become immune to trip maneuvers as you gain levels, these tricks will become less useful. 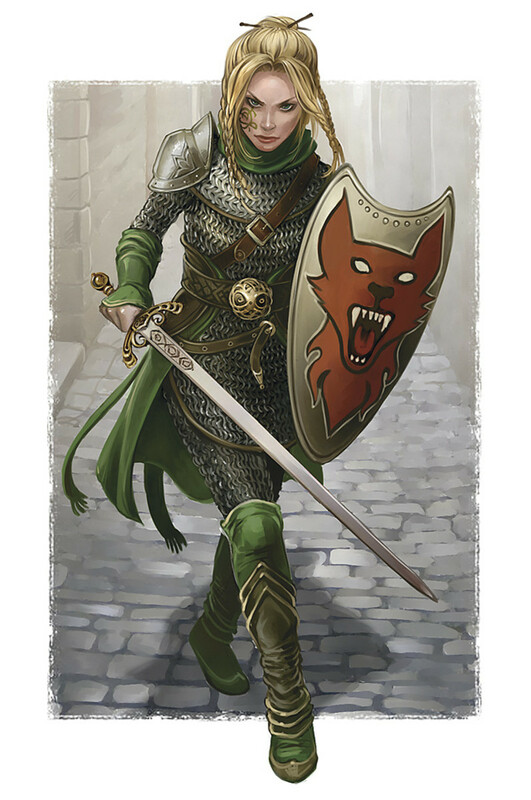 The primary archetype of interest is the two-handed fighter (Advanced Player’s Guide 108) which gives up your defensive abilities for improved ability to sunder, greater Strength bonuses to damage, and even improved Power Attack bonuses. If your primary aim is to deal a lot of damage with a two-hander, this archetype is one of the best for you. The weapon master (Advanced Player’s Guide 109) gets an honorable mention and should interest any fighter that specializes in a single weapon. 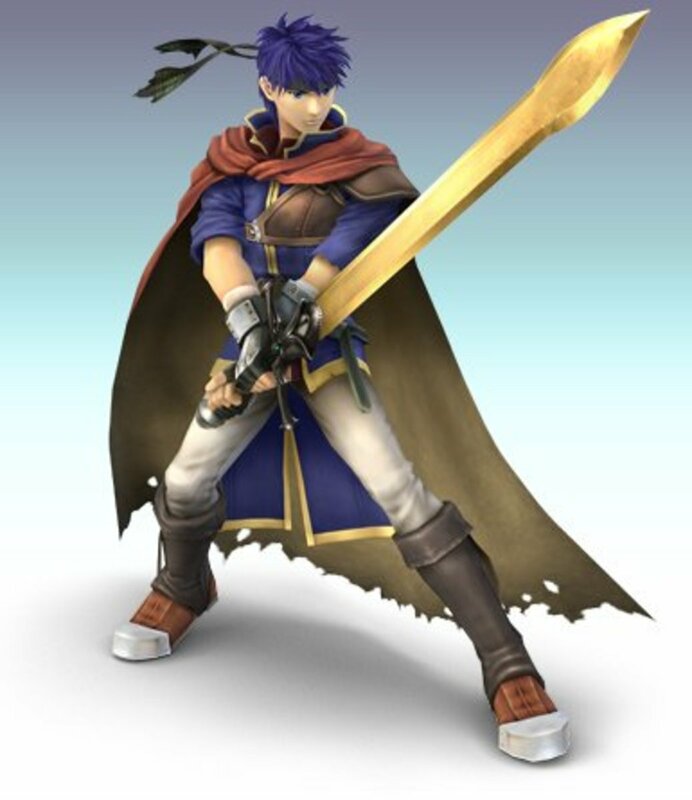 However, its raw power probably doesn’t approach that of the two-handed fighter archetype. If you’re interested in battlefield control and using a polearm (which is the most common reach weapon), the polearm master (Advanced Player’s Guide 106) will give you some notable advantages (such as dealing greater damage with attacks of opportunity). Two-handed fighter builds are going to be quite varied, in general, since they have so many more feats available than other fighters do. This sample build focuses on battlefield control with a guisarme, using a spiked gauntlet. Because you need Combat Expertise to get the necessary feats, you’ll want a higher than average Intelligence score, but this isn’t something that most two-handed fighters need. Greater Trip is definitely a feat you’ll want later on, though I personally wouldn’t invest too much else in combat maneuvers, since they’re limited to foes of large size or smaller (unless you can get a permanent enlarge person). As you gain levels, try to increase your Dexterity through magical items to allow yourself more attacks of opportunity in each round. Also look for other abilities that can really take advantage of your expanded reach, like the Disruptive line and Cleaving Finish. Because you need a higher Dexterity to keep advancing in Two-Weapon Fighting, you want it to be your primary score, until you can get it to 19 (which covers you for everything up through Greater Two-Weapon Fighting). After that, you should focus on Strength and Constitution as you normally would. Worry about your mental ability scores only after these are taken care of, with some preference for Wisdom since it helps your weak Will saves. Two-Weapon Fighting, Improved Two-Weapon Fighting, Greater Two-Weapon Fighting, Power Attack, Weapon Focus/Specialization, Greater Weapon Focus/Specialization. As you might expect, these feats form the core of your build. As a fighter, you’re uniquely equipped to offset the penalties of two-weapon fighting thanks to your free weapon training bonuses, so you should definitely be trying to get as many attacks as you can. The Weapon Focus line is more important for you than it is for other fighters. To make Two-Weapon Fighting worthwhile compared to other damage builds, you have to maximize the amount of bonus damage you get per attack and maximize the number of hits that you land every round. While you can skip them if you want, the strengths of your build really complement them well, so I highly recommend them. Double Slice, Two-Weapon Defense, Two-Weapon Rend. Unlike other fighters, you don’t end up with a lot of options that are really relevant to your fighting style. If you have a higher Strength (due to lucky rolls or magic items, later in life), you’ll want Double Slice to maximize the damage you can deal. Two-Weapon Rend is also nice assuming you have the Strength to make it worthwhile. Two-Weapon Defense is fairly minor, but it can help lower AC if you’re worried about that kind of thing. Already mentioned above, the two-weapon warrior (Advanced Player’s Guide 109) archetype is great for two-weapon fighters. It does a lot to reduce their dependency on full attacks by letting them attack with both weapons as a standard action and for attacks of opportunities, making them more mobile and more dangerous in single-attack situations. Two-weapon fighting allows less flexibility than other styles, though they do have a few choices that are largely open at lower levels, since most of the required feats have higher-level prerequisites. This sample build focuses on damage and more damage, and the feats reflect that. Kukris are your weapon of choice, since they’re light (giving you the smallest penalties), and your high number of attacks takes advantage of their expanded critical range. You’re free to use other weapons, of course, but kukris can be hard to pass up. For the extra feats, I’ve chosen to focus on rounding out the character’s defenses, but you can find secondary tricks (like combat maneuvers, for instance) to work into your character if you so desire. As you gain levels, you’ll want to continue filling out the Two-Weapon Fighting tree as well as the Weapon Focus line. Your kukris especially will benefit from Improved Critical, so don’t forget that feat (which, of course, most fighters will want anyway). The types of fighters I’ve laid out in this guide are no means the be-all and end-all of the fighter. You can combine them together in some instances with the right archetypes and feat choices. Many of these fighters (especially the two-handed fighter) have room for whole other feat chains (like Whirlwind Attack) or other tricks, like Intimidate, which demoralizes opponents. There are also a number of feat chains dedicated to niche weapons like the crossbow and the whip. If your concept works best with a long feat chain or with a number of interlocking feats, you’re probably going to be hard-pressed to find a better way to get all of those feats than with fighter levels. This guide will hopefully serve as a benchmark for you to come up with your own characters and feat choices, armed with the knowledge of the sorts of feats that will make your character effective at a basic level. Even if you’re playing a class other than the fighter, if you’re considering using a fighting style like one of the ones discussed in this guide, you’ll probably want to explore similar feats for your character, and depending on your character’s needs, you might even want to multiclass into fighter to get some extra feats. Yeah on the one-handed build sample, how do you expect to get Dervish Dance at lvl 1 if you need 2 ranks in Perform (dance)? I'm always a fan of these types of articles. You do a good job of touching on the key points for the class types without falling into power-gaming. I say leave that for the munchkins (not that there's anything wrong with playing that way if the whole group is in on it). I'm new on the Hubs, and I'm looking to start writing a few Hubs on world-building myself, but that'll be a bit down the road. That's very true: Weapon Master has a lot of synergy with Critical Focus. That's one of the more powerful avenues to explore at higher levels, as well, since Fighters have unique (or almost unique) access to Critical Mastery. What about critical focus fighters? That is a whole different ball game and weapon master becomes a godsend. As of July 3rd 2012, I've expanded the sample builds to cover levels 6-10. They get kind of samey (nearly every fighter will want Greater Weapon Focus and Improved Critical, for instance) but it gives a better idea of where individual fighting styles might be headed.